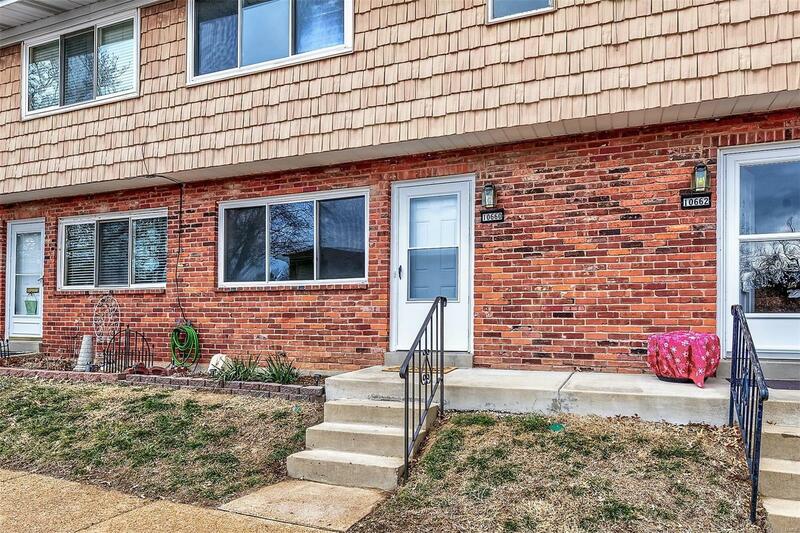 Well maintained & tastefully updated townhome! One of the larger units inc 3 bedrooms, 1.5 baths, full basement & nearly 1,400 sq ft of total finished living space. New laminate flooring & fresh paint throughout the main level and filled with light. Spacious, eat-in kitchen features wood cabinets, new stove, new sink faucet, dishwasher & refrigerator. Easy access to the private patio just off the kitchen through the new sliding glass door. The updated half bath is stylish with all new fixtures and perfect for guests. Great upper level w/3 bedrooms, all w/new carpet, fresh paint & a full bath completely renovated w/a new tub, subway tile, vanity & more. Full basement w/new carpet & fresh paint adds an addl 400 sq ft of finished space. Clean laundry area easily fits a full size washer & dryer + storage! New electric panel & waste stack. 1 assigned parking space + visitors. Nice amenities on site inc a club house & an inground pool.